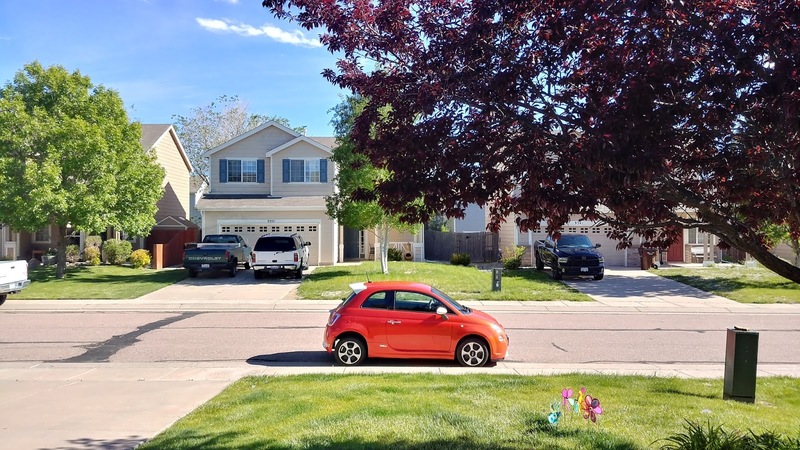 Our newest member, Seth Curry, lives in Colorado Springs, CO and brings the first 2014 FIAT 500e to our club. Please make him welcome when you meet him. The singular best car event all year is the Concours de'Elegance Show in Littleton, CO on Sunday, June 11. Our EV club made a GREAT showing last year but we only have 3 cars registered so far. This is an exotic show with vehicles you've never seen before, some multi-million dollar cars. PLEASE consider bringing your EV this year, we had a great reception at the show with lots of people asking questions. Online registration is closed but you can register the day of the show. Day-of-show registration is $50. The map locator for the college is here. On the morning of the show, go to Santa Fe Drive, turn right on Church Avenue and then right on S. Nevada St. - just follow the car show signs on Church. View drone footage from last year here. You can see the EV club cars in the lower left area of the video from approximately :50 to 1:00. 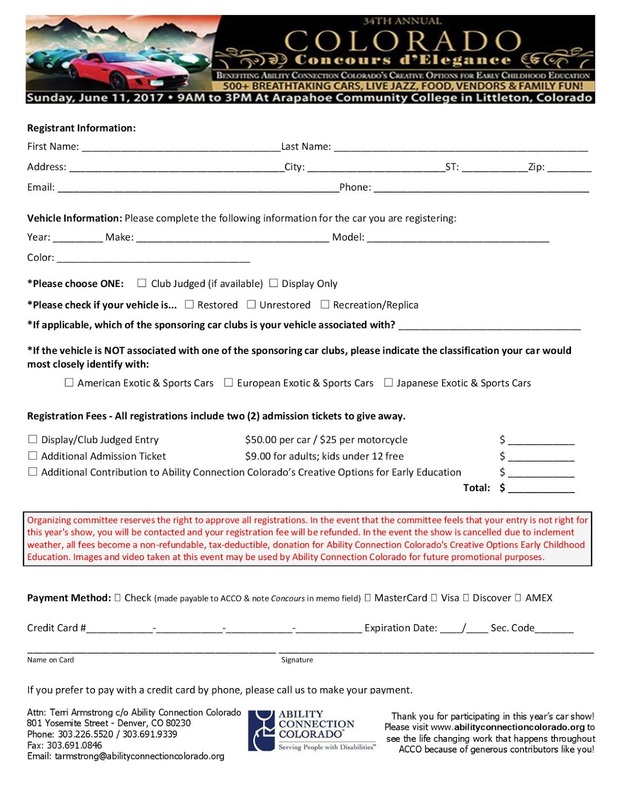 I am really hoping our group can make a good showing at this event; if there's one show you exhibit your car at, make it this one. Thanks! It looks like Tesla is testing its new Model 3 in northern California...view the video here. Online Registration happens today. After today you can register online but your car won't be listed in the program. Registrations after today will not be judged. It's rather short notice but the new Tesla Showroom at Park Meadows Mall is being celebrated this Thursday, May 25, at 6:00pm. Here's the post from Kevin R. on the Tesla forums about it, and thanks to Chaz, our club member, for bringing it to my attention. I stopped by the Park Meadows store today. They will be doing a grand opening reception this Thursday (5/25) starting at 6 PM. They are moving across the hall to the new store. It was suggested that I post this as a general invitation. I recently sent out a broadcast message saying the CSU Conservation Day was this Saturday, my apologies. It is June 3, NEXT WEEKEND. I recommend my dismissal and a generous severance package. 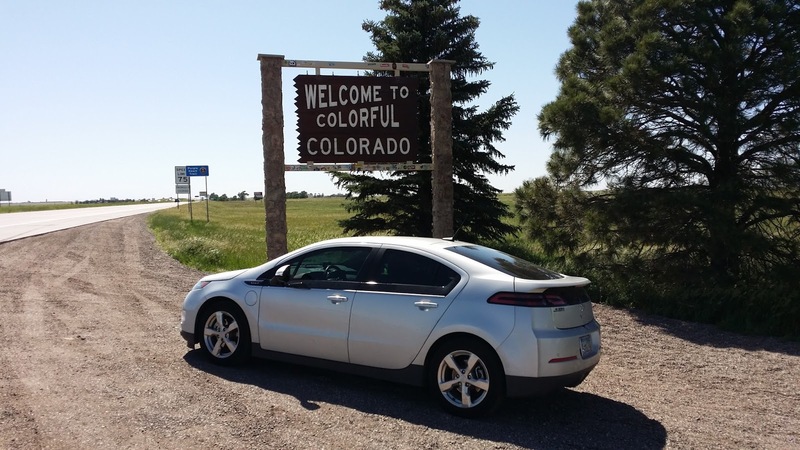 Our newest member, Mark Vaszary, lives in Falcon, CO and drives a 2013 Silver Chevy Volt. Make his welcome when you meet him! Online registration is closed but you can register the day of the show. Day-of-show registration is $50. Thanks! There's been snow along our trip route. Mac McCauley and the Hitchings have made the decision to go ahead with the trip but to stop at each Supercharger along the way and make the decision to proceed or turn back. Please see the road condition links below. I just spoke with Mark and he is looking for a white, grey, or black Model S that would be available for a video to be shot on location in Boulder in the next week or so. Please let me know if you might be interested in doing this for him. He is willing to pay for the time involved. Chris - email him here. MEETING! This Saturday, May 13th at 11:30 AM. Location: Garden of the Gods Trading Post, 324 Beckers Lane, Manitou Springs, CO. Park in the Eastern parking lot, like usual. The meeting will be downstairs in the meeting room (sort of like usual). If you are tired of the rain, and are getting itchy to go for an EV trip, COME ON OUT! We will love to see you all! There is good food in the remodeled Balanced Rock Café, inside the Trading Post! See you on Saturday!! NOTE: This meeting is exactly one week from the BIG Tesla rally in Custer, SD. Just for your information, at this time, the CSEVC has ELEVEN cars participating in the event. It appears there will be 60-70 Teslas from all over the US and Canada total at this event, down from the hoped-for 100 cars. At the END of the Saturday meeting, anyone going on the Custer rally is invited to stay and discuss the details of the event, while everyone else can leave (unless you want to listen in). We are retired and live on a ranch 20 miles from the nearest pavement. We have experienced deep mud and lots of snow and ice and the car is just fabulous. Wynonia is a very talented singer and loves to attend Sacred Harp State Conventions around the country. We bought our Model S 90D new in mid June of 2016 and have put over 39,000 miles on it. We have been in 24 states and have been to the West Coast twice and to Florida twice. Wynonia has attended singing conventions in Oregon, California, New Mexico, Texas, Alabama, Florida, Kansas and probably a couple more that I have forgotten. We passionately love our Tesla and will never go back to gas or diesel. We also have 2 Model 3s on order. We love to travel and are averaging about 4,000 miles per month, though we had the flu in April, so we didn’t do too much that month. Our total charging road expenses for 39,000 miles has been $28.30. I am a retired United Airlines Captain, and started my aviation career as a 19 year old Army helicopter pilot. I served a year in Viet Nam, and spent a year in the Army flying in Germany. We have traveled the world, mostly flying, but haven’t been in an airplane since we bought the Tesla. Truly LOVE IT! We are looking forward to meeting other Tesla and other EV owners as well. There was a roadster, my model S, someone's new model X, a volt, a bolt, and a BMW I3. There was also Denis's VW conversion, also a Porsche conversion - it's orange, an electric motorcycle, and then the K-8 kids had a scooter, something slightly larger than a scooter, and a three wheeler all built to be electric drive. Inside the building (hmmm ... no pcs) was a robotics project. The one interior picture showing a seat folded down was from the model X. Three members of the CSEVC attended the First Saturday's Car Show with their vehicles today. Our newest member, Wayne Buessing, brought his 2017 Chevy Volt. Thanks to Wayne for providing the photo of the three club members (Wilson H, left, Mac M., Center and Wayne B. right). We have a new member, Wayne Buessing, who met us at the 2017 Sustain-A-Fest "Earth Day" event. He has a 2017 Chevy Volt, make him welcome when you meet him! 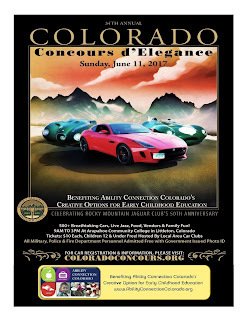 A Colorado Springs Cars & Coffee show that's very popular is the First and Main First Saturdays Car Show. There are pastries and coffee for sale and quite a display of cars. There are classics, hot rods and sponsored car clubs (Mustangs this weekend). You can even make the show (8:00am - 11:00am) in the morning and still get to other shows the same day. Give it a try...and get there about 7:00am for a good spot (no saving spaces, no reserved spaces). The map locator is here.